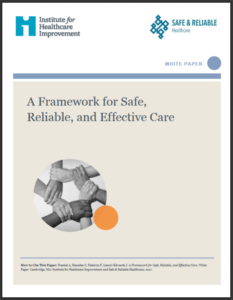 The Institute for Healthcare Improvement (IHI) and Safe & Reliable Healthcare provide clarity and direction to health care organizations on the key strategic , clinical, and operational components involved in achieving safe and reliable operational excellence — a “system of safety,” not just a collection of stand-alone safety improvement projects. Health care organizations and systems may use the framework as a roadmap to guide them in applying the principles, and as a diagnostic tool to assess their work to date. 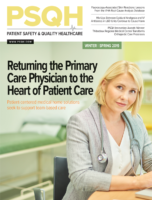 Although initially focused on the acute care setting, the framework has evolved to be more broadly applicable in any setting — in ambulatory care, home care, long-term care, and in the community.